Toyota Key shell with letter G on the blade withtransponder space for TPX or carbon type transp..
Toyota Key shell with letter H on the blade withtransponder space for TPX or carbon type transp..
Infiniti key shell with transponder slotCompatibility:2003 - 2008 Infiniti Fx352003 - 2008 Infiniti..
Toyota Key shell without logo withtransponder space for TPX orcarbon type transponderKey way TOY43 (.. 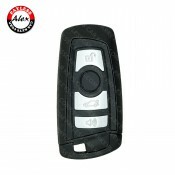 Factory OEM brand new2011 - 2013 Dodge Durango Smart Fobik Key5B Hatch / Remote StartFCC ID: I.. Factory OEM brand new2011 - 2013 Jeep Grand Cherokee Smart Fobik Key6B Hatch / Hatch Glass / Remote ..